Morocco is known for its wealth of local products, with each region having its specific share in gender, diversity and quality. Souss-Massa does not derogate from this observation. 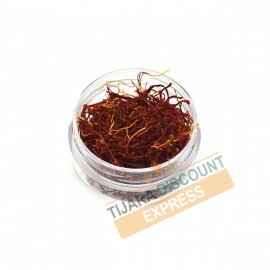 It is famous for its many local products, including saffron, one of the most coveted and expensive spices in the world, which is now worth gold. The Kingdom is today the fourth largest producer in the world. Cultivated for centuries in the mountainous areas of the Taliouine-Taznakht region, saffron is the main source of income for households in this area. It is a job-generating activity, particularly for women, and represents a promising avenue for reducing poverty and income inequality in this region. Known for its exceptional flavor, but also for its color and medicinal qualities, saffron is widely used in skincare and beauty products. It contains vitamin B12 which acts effectively on the skin and allows to clean it. This flower represents several specificities: it comes out of the ground only once a year in November, and it accepts to be picked by hand, that is to say the hard work it requires. Thus, to harvest a single kilogram of saffron you have to stoop 150 thousand times. The operation lasts one month, then it is necessary to wait the following year. "Before the first rays of the sun, women collect red gold, which is not only a simple job in the region of Taliouine but also a passion, which is perpetuated from one generation to the next. Then it is the sorting of the different parts of the purple flower, to extract the treasure. This daily manual picking lasts from 3 to 5 hours, and allows the woman in particular to have an income, and to earn a living with dignity, especially since this flower is the economic pillar of this region". According to him, red gold does not enrich anyone, but it is like a gift from heaven, giving villagers the opportunity to double their income of the year. In this sense, each family has its own small plot of saffron. Everyone participates in the interview, even the youngest. Saffron is usually grown on small plots on terraces built in the direction of mountain contours to control water and soil losses. This practice of terraces ensures the sustainability of production systems in the mountain areas of this region. In the past, it was sold in a traditional way on the market without knowing the actual origin of the spice.